A fun new way to explore some of the strangest, most bonkers Bibles stories, this book will engage young readers aged 8-12. Want a Bible book that is anything but boring? 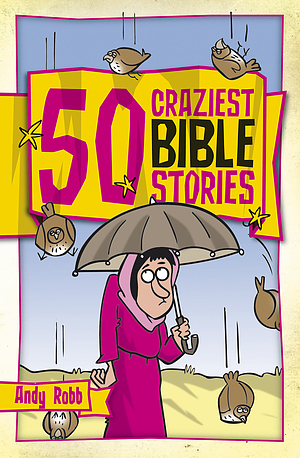 50 Craziest Bible Stories by Andy Robb author of the 'Boring Bible' series, explores some of the craziest stories from the Bible and retells them in a unique way. Children will enjoy discovering God's word with Andy's humorous and chatty style alongside fantastic cartoon type illustrations. Each crazy 50 story ends on a cliff-hanger pointing readers to which Bible verses to look up and discover what happened next. The book will encourage children to learn the Bible in a fun style and that God of the Bible, who is much bigger than we imagine and can't be boxed in, is involved in the lives of ordinary (and sometimes crazy!) people like ourselves. "Andy Robb brings to life bite-sized Bible stories aimed to make the Bible less daunting for primary-school-age children. 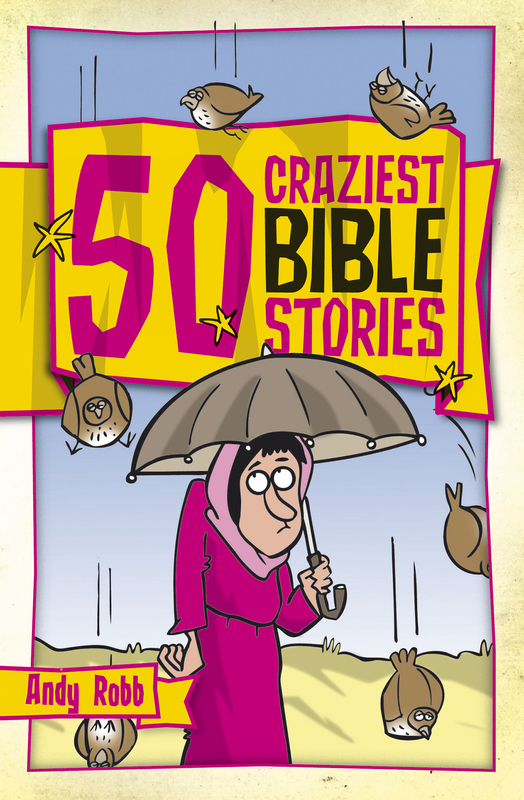 50 Craziest Bible Stories by Andy Robb was published by CWR in November 2008 and is our 152nd best seller. The ISBN for 50 Craziest Bible Stories is 9781853454905. I bought all four books in this series for my children to read at bedtime. They are just perfect for my 9,8 and 7 year olds. They are more grown up than a children's story Bible but the stories are short enough to hold their attention. I also liked the way they gave you a Bible verse to look up to encourage them to find their way around the Bible and to see that these stories did actually come from the Bible. I'm really pleased with them and so are my children. I chuckled at the first sentence of the Introduction which bode well for the rest of the book! The Introduction is essential reading because it explains all sorts of things, it is not just funny, it matters. Tantalisingly each story ends on a cliff-hanger. You have to go to your Bible and read the crunch lines for yourself – very clever! Someone my age is supposed to know those endings already, but I found myself, story after story, looking the endings up in my Bible. Don’t worry what translation of the Bible you are looking at, they all say the same, they just say it in different ways, though some are easier to understand than others. The colourful cartoon illustrations add to the fun, but don’t forget there are serious messages here too. You’ll get indigestion if you try to read them all at once: take them a day at a time and think about what you have read. Take a peek at some articles related to 50 Craziest Bible Stories. Got a question? No problem! Just click here to ask us about 50 Craziest Bible Stories.